CTET is an Entrance exam for Teaching Jobs. Central Board of Secondary Education conducting CTET exam. Interested candidates who want to apply for Central Teacher Eligibility Test can see Exam Dates, Application process, Syllabus, Previous Papers and Eligible Criteria in below sections. To know more details about Central Teachers Eligibility Test exam, aspirants can also check official Notification. Candidates who are willing to do teaching jobs can apply for Central Teacher Eligibility Test. CTET exam will be conducted for 2 stages, one is the Primary stage, and the other is Secondary Stage. In Primary stage, the applicants have to teach the class from Ist Class to Vth Class. For the secondary stage, the candidates have to teach the classes from VI class to VIII class. So, as per the applicant’s interest, they can apply for the primary or secondary stage examination. We are providing the complete details of CTET exam here. Applicants can find CTET exam Important dates, Exam Pattern, Syllabus, Application Process, Previous Papers, etc in the below sections. Read the given information carefully and prepare well for Central Teachers Eligibility Test. Board Name Central Board of Secondary Education. Exam Name Central Teachers Eligibility Test (CTET). Information Bulletin Available date 4th February 2019. Starting date of Application 5th February 2019. Online Correction 14th to 20th March 2019. Admit Card Release Date Update Soon. 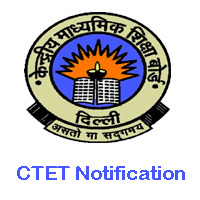 CTET 2019 Exam Date 7th July 2019. The Central Board of Secondary Education announced a recruitment notification for teaching vacancies. To shortlist the candidates, the central board decided to conduct an entrance test. Therefore, candidates who are searching for teaching jobs can apply through online on or before the last date. We given CTET important dates in the above table. So, apply online and start your preparation immediately. We are also giving the syllabus, previous papers, Answer key, Cut off marks, Exam Analysis, Result, College codes and Central Teachers Eligibility Test helpline centers on this page. So, utilize the provided information and prepare well to qualify in the exam. The candidates should pass 10+2 and Diploma with at least 50%. The applicants who belonged to reserved category should hathe ve 45%. The students who are in final year of D.El.Ed or B.El.Ed can also apply for CTET exam.